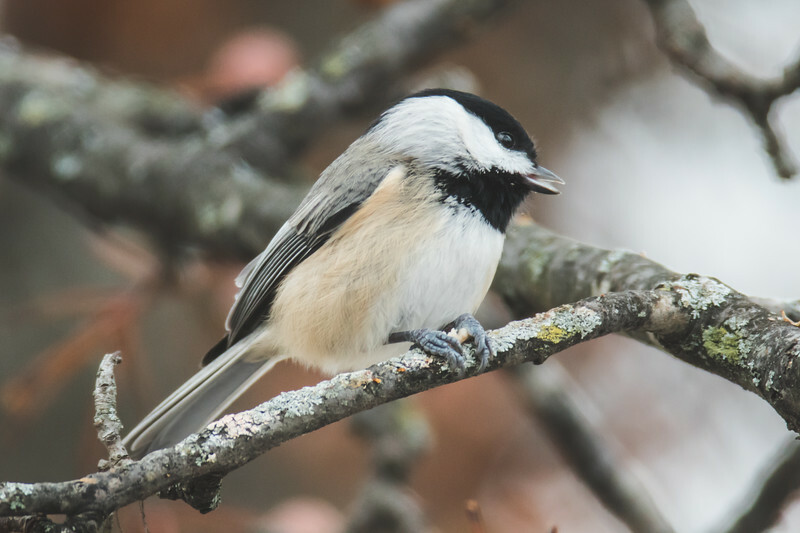 One of the birds that I see often in my backyard, but doesn’t stick around long enough to be photographed is the Carolina Chickadee. I finally had a pair that was used to my lens enough to allow me to make photos of it. This one actually decided to stop and eat near my window so that I could get a clear shot of it. I bet I made the same sound that I make when I make a good photo on the sidelines at a sporting event. I had been waiting for a clear shot at one of these, and it was great to finally make one. I made this photo with the same combination that I had made many photos with this fall. My Canon 7D Mark II with the 600mm lens and the 2x teleconverter on it. For shots like this I get sharp images. A little to either side and they can get a little soft, but I think that is the heat escaping my house because I have cracked a window open (don’t tell my wife!). There are other times that it doesn’t seem like it will grab focus. I know that at f/8 I am really pushing things with the auto-focus. Maybe there is something there. I really need to keep pushing this thing though to see what it can do.